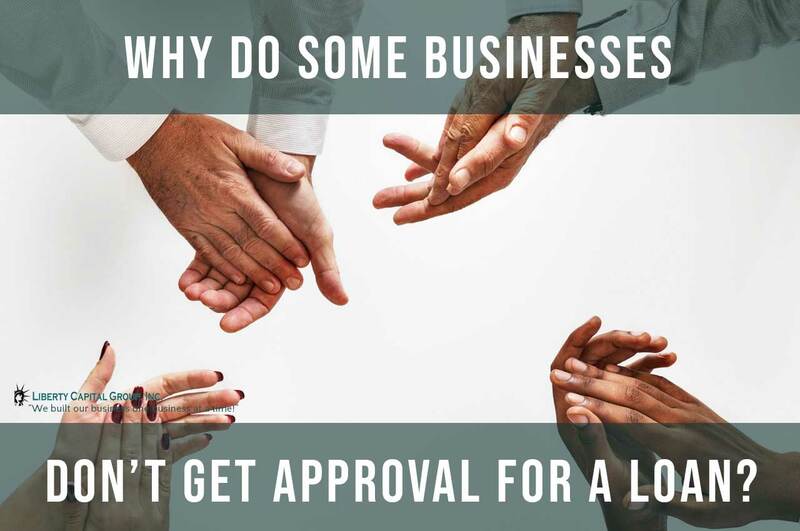 Liberty Capital Group | Small Business FundingBusiness Loans ArchiveWhy do some businesses don’t get approval for a loan? 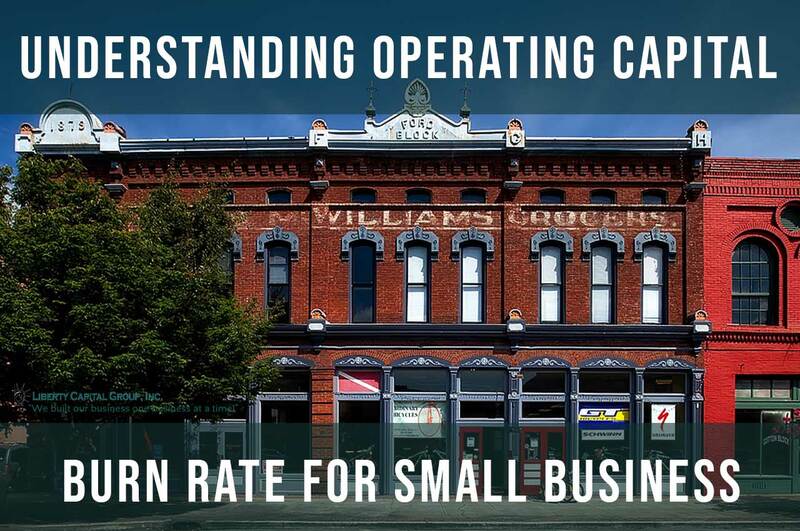 Several businesses, especially small ones, require business loans to meet the requirements of their daily operations until their business gains a positive cash flow and becomes stable enough to finance itself. Other than this, there are several other reasons businesses may need to apply for business loans. However, getting business loans from banks is not as easy as it used to be in the past and getting rejected for a business loan is no surprise – it happens with millions of business owners from all over the world. This especially happens more with startups and small business owners as compared to businesses that are operating strongly. Even though there are numerous business financing options available these days, such as online lenders, it is still quite difficult for many businesses to get their business loan approved. There are many businesses that are dependent on the business loan and if their application is rejected, there is a possibility that the business might get shut down. Hence, it is important to care of the factors that make you eligible for business loans. Fundamentally, regardless of whether you get affirmed or denied for a loan relies upon the extent of risk the financial organizations will go up against and how unsafe your credit application looks. Upon the approval of your loan application, the loan cost you are given will likewise be founded on your potential risk to the financial organization. The riskier your situation is, the higher the loan will cost you through the loan fee if you are granted the loan. You can promise that you will be paying the loan back but however, the unfortunate truth is individuals lie. A financial institution can’t tell which ones are being honest and which ones are lying. Also, at times, even individuals that genuinely mean to pay back credits fall into circumstances where they cannot. Your loan application is the best pointer for a bank, it helps determine whether you will pay back the loan and what financing cost they should charge. Reasons for rejection of business loan application from banks. So, why exactly do business loans get disapproved? There are many reasons for the disapproval of your business loan application. Below mentioned are the reasons many business loans don’t get approved. You can always revise your application after it gets rejected from the bank. One of the main reasons your business loan might get rejected is that your credit score is deemed to be too low by the lender. The measure of the worth of a person or businesses credit is known as a credit score. To set interest rates and to decide whether or not you should be granted a business loan, banks generally examine your business score and credit score both. While evaluating the loan application, the lender usually looks at the personal credit score of the owner or the CEO of the company. A credit of 680 and above can be considered as a good personal credit score. You can also check and get an idea of your credit score online. It is also to be noted that many new and small business owners are not aware of how crucial business credit is for the approval of the loan, as they focus primarily on their personal credit score. More than half of the businesses that apply for business loans have not worked towards achieving a good credit score and this can make the approval of loan even more difficult. You basically gain a bad credit score due to bankruptcy, not paying or paying late to the lenders, having issues with credit cards and vendors. You can always review your credit score and take steps to repair it. A way that businesses can avoid this problem is by planning ahead of time and looking for strategies that allow you to increase your capital, regardless of whether or not you need the money right away. If you work towards growing your credit score, assess opportunities and pay special attention to trends and rates so you can be successful in gaining the capital you need for your business. You can always review your credit score and take steps to repair it. 2. You are not able to provide enough or any collateral at all. When you apply for a loan, banks usually ask you for security in form of business and personal assets. 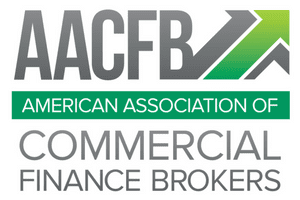 It is essential to provide collateral if you want your business loan to get approved. Before you apply for a loan it is important to decide which asset you will be provided as collateral. The amount of loan that the bank agrees to provide you with is dependent upon the value of your assets. Many times, new businesses do not have enough assets to offer as collateral and other times many business owners do not want to offer their personal assets as such as their home and cars for collateral. Cars and homes are two of the most common forms of collateral. Offering your personal assets as collateral strengthens your application. If you do not have any valuable property or assets, chances are that your loan application might get rejected. In case you lack valuable collateral, you can search for alternative financing sources for example unsecured loans. There is a natural movement of cash as business buy and sell goods and services, this movement of cash is known as cash flow. Banks are most likely to provide loans to businesses that have a positive cash flow since a weak cash flow is one of the biggest reasons for business failure. A positive cash flow ensures that the business is generating enough money to pay monthly loan payments along with managing the rent, inventory, payroll and other costs that the business run on. Since many small and medium businesses do not have valuable collateral to offer for their loan application, lenders examine the cash flow of the business for the last six to twelve months and estimate the expected income the business will be generating. Hence, it is important to have a positive cash flow as a weak cash flow can result in the disapproval for your business loan. To avoid a weak cash flow, you should make sure that you are not spending on unnecessary things. If you are facing cash flow problems, you should consider lowering your budget and look for strategies that will help you increase your revenue before you apply for a loan. Putting off paying credit until it becomes too late should also be avoided as the interest rates keep getting higher. If you are not paying your loans and your credit card bills on time you can become bankrupt, which has many long-term consequences. On the other hand, businesses that are too lenient with their customers can also face a reduction in cash flow. At times your debtors can take a very long time to pay back the debt they own you and if you are facing this problem from many debtors, your cash flow can dry up. To avoid this, you can send timely invoices and put a penalty on late payments. Other options include maintaining a budget for your business to monitor cash flow and focusing on managing the cash flow before you stress on profits. Lenders are not willing to work with some industries because they consider them risky. This is because it is because there is a high probability that the business might default. Some businesses might have a cash flow and a stable capital but even then, they might find it difficult to get their loan approved as most of the lenders are not ready to be working for high-risk industries. One of the examples is restaurants, as the failure rate of restaurants is high. Another example of a risky industry is gambling. Other examples include industries on a big scale such as construction, oil and gas, rental or sale and many more. If you own a business that is considered to be in the high-risk industry, it is advised that you seek for lenders that specialize in your industry only. Often small businesses don’t get their loan application approved because they do not follow the application process properly or they just are not prepared. At times business owners think that it is very easy to just walk into a bank, apply for a loan and get it. They don’t pay special attention to the application which is a major cause of disapproval of business loans. Written financial statements, business plan, tax returns, business and personal credit reports, bank statements and tax return documents should be collected before your bank application. This may also include relevant legal documents such as contracts, leases, articles of incorporation and licenses and permits. At times you are not aware of your borrowing options. Many small business owners apply for loans without the proper strategy and knowledge of the plan. Based on lending solutions these businesses are confused about what they can and can’t do because they do not have any Plan A/Plan B. If you narrow it down there are around 10-12 primary options of debt solutions in which you won’t need to give up the ownership of your business. Factors like your credit score. Collateral, cash flow, your need for loan, seasoning location, etc., determine your options. It is important you construct a proper and strong financial plan before applying for a business loan. This includes an introduction about you and your business. This should also clearly discuss your businesses goals and missions and what strategies you are looking to imply to achieve the stated objectives. Other than this in your business loan application mention how you are planning to be spending your funds. Before you apply for the loan research and analyze how much amount of money you require, as underestimation can lead to problems. Have a proper financial plan and display a good budget so that the bank has no doubts that you did not do a thorough research before applying. Lending to business startups is the riskiest loan for the banks and other lenders. Hence, it is not easy to find a lender that will be willing to accept your loan application. Banks prefer to lend to businesses that have been operating for a long time and have significant and lengthy track records. They are not willing to fund businesses that are not stable and have been operating for a while. If your business is new, then it most likely has not built enough of credit history to even be eligible for a small business loan. Whereas, banks look for a strong track of profits to provide your business with a loan. This ensures that you will be able to pay back the loan. However, if you are own a business that has not been operating since long but has solid financials and has been successful in recent years then there is a chance that your application might get approved. In this case, it is important that you look for the right lender considering your situation. Make sure that your vendors are always reporting your payments to business credit agencies. This will help your business to build up a good credit history. There is a high chance that a lender will turn you down if it has done the same in the past. It is advised that you should not apply for a loan from the same bank you got rejected unless a year has passed, or the financial condition of your business has progressed positively. The good thing is that there are numerous banks and other lenders out there, so in case you get turned down by one bank you can always have the option to apply to another one. Similarly, if you get rejected by a bank, do not get your hopes down and do not be discouraged. There are numerous business lenders present these days and all of them cater to different needs and have different eligibility requirements. What’s better for you is that you start searching for a suitable lender that matches your eligibility requirements as soon as you can. It is relatively easier to get approved for a business loan if you are prepared. It is important that you have knowledge of the information that will affect your business loan application and which bank is suitable for you. It sounds contrary to common sense expectation but the more amount of money you ask for, the more the chances are that you will be granted the loan. For banks, lending loans which are less than $100,000 is just not worth it. This is one of the reasons many small businesses do not get their applications approved from a major bank. They prefer the businesses that apply for a comparatively larger amount. One thing you can do is ensure that you are not underestimating the capital (loan amount needed) that will run your business by reviewing your financial projections. If this is the case, you can apply for a loan again and request a larger amount. Alternative financing sources can work if you do not need more than you already asked for. Some examples of alternative financing methods that are suitable for smaller loans are invoice based financing and microlenders. A small business line of credit can also be considered if you don’t want a large lump sum but need financing. If you ensured somebody’s loan and toward the day’s end, the individual didn’t satisfy his commitments to the bank; as the underwriter, you will be required to pay the debt back to the bank and in the event that you don’t, you would be accounted for to relevant authorities. This will have a very bad impact on your credit report and you might get rejected due to this reason if you apply for a loan in the future. Hence, you need to be very alert when going about as a guarantor for someone. Guarantee that the individual is trustworthy and somebody who has the assets to repay the loan credit, if not, politely let them know that you can’t act as their guarantor. If your loan application has been rejected by different banks previously, a bank would need to know the reason for this and in case that it can’t generally build up the reason and furthermore set up that you have amended the reason, the bank might dismiss your application. Hence, if you get a dismissal from one bank, it is better to discover why and focus on the vital changes that need to be made, apply again to the same bank after making adjustments to your application rather than applying to other banks. What should you do after your loan application gets rejected? In case, your loan application is stamped red, indicating denial from the lender, there is near to no chance that you will be able to change their decision. However, one thing you can do is ask for an explanation letter that will list the reasons your loan did not get approved. Hence, if you want to know the reason of rejection of your loan application simply ask the lender for an explanation letter. This way you will be able to pay focus on the shortcomings of your application and change it so you don’t get rejected for a loan again in the future. If you have ever been bankrupted in the past, its evidence is present on your credit history. This obviously has a bad impact on it. Hence, pay special attention to building up your credit score. A good credit score will help in getting your application approved. Check for other errors present on your credit reports. Contact the concerned agency as soon as you can if you find any errors present in your credit report. Focus on building up your business financials like cash flow, business savings and annual revenue as these factors are examined thoroughly by lenders to check if you are eligible for the business loan or not. Be careful the next time you apply for a loan. Know bank’s qualification criteria, keep your individual and achieves prepared before you apply for the loan, make sure that your credit report is error free, fill application form accurately and don’t leave anything unexplained. Don’t conceal any facts from moneylenders. Ensure you are not submitting any mistake in the second application that you made before. Getting disapproval once doesn’t mean your application will be dismissed in each attempt. One thing that you should keep in mind when you submit your loan application is that the bank does not want to deny your loan without any legit reason, but for their and the sake of their other customers, they have to make sure they are on the safe side. Don’t let your hopes down when you get rejected for a loan. Consider this as a chance to revise your application and make it stronger. If you believe your loan was rejected due to one of the problems above, work on them and correct them. You’ll be awarded a loan in no time at all!